Dicer, an RNase III type endonuclease, is the key enzyme involved in RNA interference (RNAi) and microRNA (miRNA) pathways. 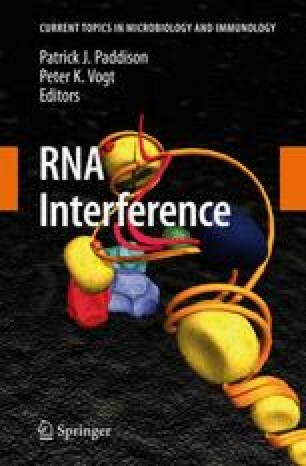 It is required for biogenesis of miRNAs and small interfering RNAs (siRNAs), and also plays an important role in an effector step of RNA silencing, the RNA-induced silencing complex (RISC) assembly. In this article we describe different functions of Dicer in posttranscriptional regulation. We review the current knowledge about Dicers in different organisms and the functions of individual domains of the enzyme. We also discuss information about Dicer-associated proteins and their role in the biogenesis of small RNAs and assembly of RISC.